EcoTeach connects its travelers to projects that truly matter to the local communities we visit. We carefully select locally-owned and operated projects focused on conservation and ecology. Each year, our travelers volunteer thousands of hours saving sea turtles, planting trees, working in sustainable communities, volunteering with rescued wildlife and more! We also work side by side with rural schools and communities in a variety of projects designed to aid in their economic vitality. 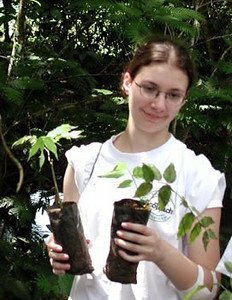 If you would like to help EcoTeach support local community projects and have a life-changing experience, please contact us today! Upon returning from an EcoTeach trip, our travelers often want to give back to the country and our projects in a tangible way. Learn how you can donate to one of our community projects. Perhaps you’ve seen endangered animals in zoos, but how often have you encountered one in the wild…and had a chance to save it? At Estación Las Tortugas you’ll work with a team of biologists to help protect leatherback sea turtles. This work might include conducting population studies, tagging turtles, transplanting eggs to protected areas, or releasing hatchlings into the ocean. 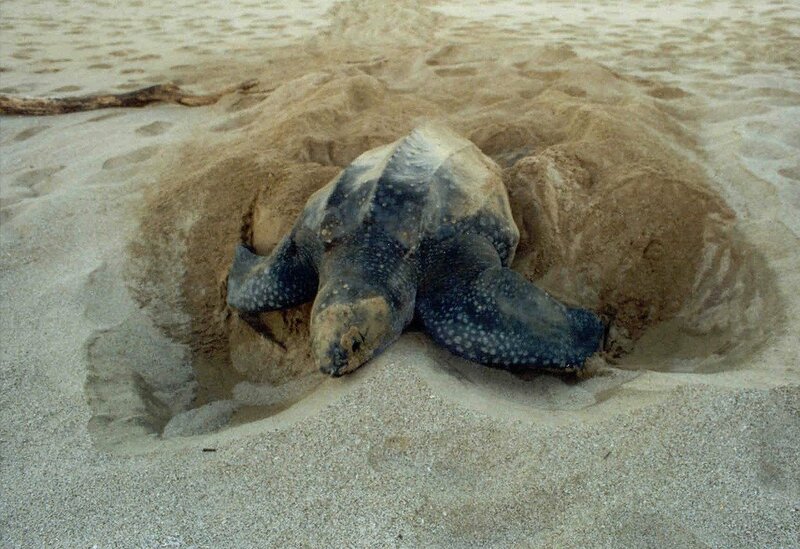 You might also help build hatcheries or clear the beach of debris to make it easy for turtles to nest. EcoTeach’s work on these projects has helped create a dramatic increase in the number of nesting females each year. 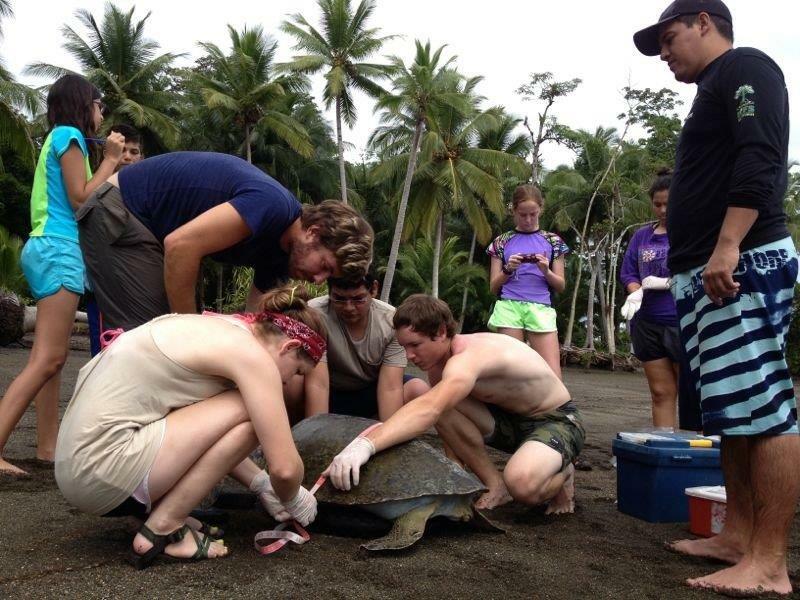 For many of our travelers, working with the turtles is a life-changing experience! This is a unique opportunity to get in the water and study turtles as part of a new “catch, study and release” conservation project located in Gulfo Dulce, the bay separating the Osa Peninsula from the mainland of Costa Rica. Participants will accompany project staff in research boats and assist in the safe and gentle capture of hawksbill and Pacific green sea turtles. Once the turtle is in the boat, you will help to measure, tag and collect data. Once studies are complete, the turtle will be released back into the water. Circumstances permitting, you may be allowed to get back in the water with the turtle. EcoTeach has partnered with WIDECAST, an international non-profit organization dedicated to sea turtle conservation in the Caribbean region. Little is known about the sea turtle population in this region and EcoTeach volunteers will play a vital role in collecting data about population structure, genetic origin, in-water habitat use and health status of the turtle population. The BriBri are one of the last remaining native populations of Costa Rica. 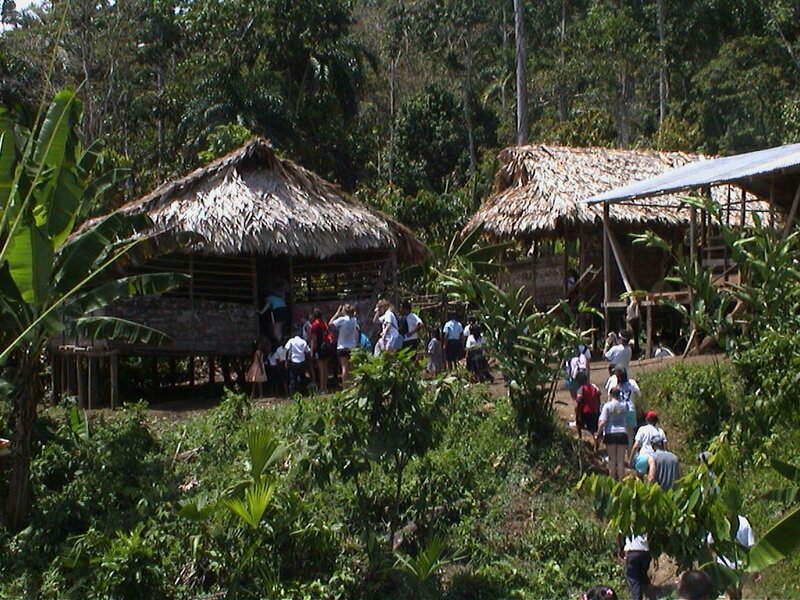 The BriBri practice non-invasive agriculture within their protected mountainous rainforest in the southeast corner of the country – a place reached by way of a rugged mountain trail. EcoTeach travelers learn about the history, culture and way of life – how they find food, medicine, tools and building materials within the rainforest. The visit could include a simple lunch served on a banana leaf, a game of soccer with the BriBri school children or perhaps a cultural exchange with a song or performance. The BriBri live in sustainable harmony with the splendor of their natural surroundings. EcoTeach is one of the few tour providers invited to visit the BriBri on their sacred land, and is always grateful for the experience. While Costa Rica claims to have protected more of its native forest than any other country in the world, deforestation still claims more than 200 square miles of pristine rain forest each year, and illegal logging takes place in many of its protected areas. 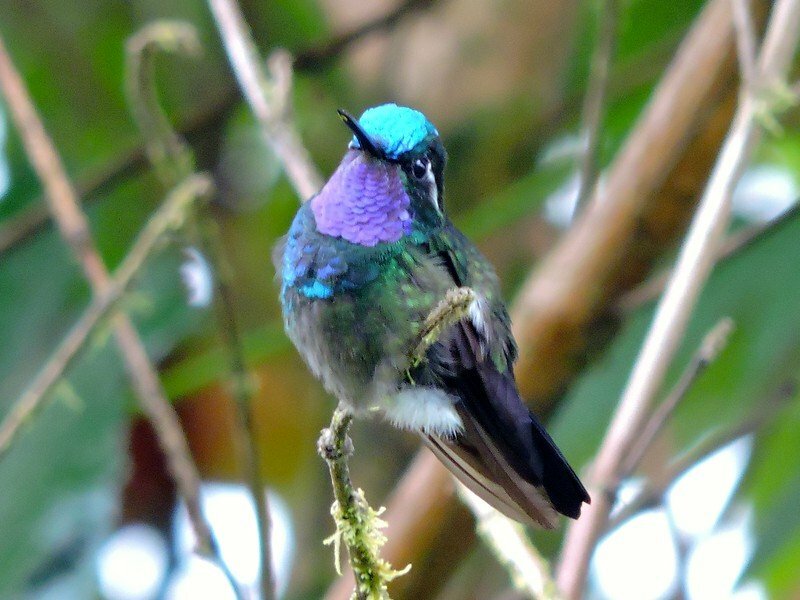 The northern Caribbean plain of Costa Rica was once the biggest tract of lowland rainforest in the country; now less than 10% remains standing. The area was also once home to a healthy population of great green macaws; now there are only 25 to 35 breeding pairs left. At Pital, you’ll work with locals who are committed to protecting the remaining forests and participate in reforestation efforts. You’ll also spend the night with a local farm family. The families welcome our travelers into their homes to experience a typical day in their lives. The visit might involve getting up before the sun to milk cows, participate in daily chores and then help prepare a traditional meal. Local children are always anxious to get a game of soccer going with their guests. EcoTeach directly supports several local Costa Rican elementary schools - Huetares, Escuela El Jaúuri, Las Esperanzas and Las Brias. Our groups are excited to see what a school looks like in another country, and the Costa Rican children appreciate meeting American students. When we visit these schools, our travelers often bring school supplies or other necessary materials. 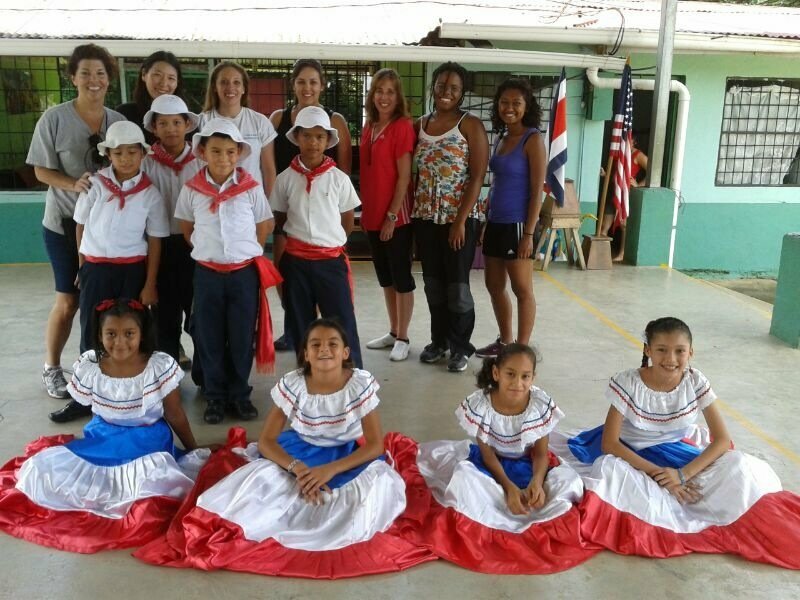 The school typically offers a Costa Rican lunch and the children perform traditional songs and dances. Upon returning, several groups have raised money to fix buildings or donate essential materials. These rural schools are quite poor and without the support of EcoTeach and our groups, they would not be able to take care of most of these necessary projects (like toilets, wells and school supplies). Participate in a school visit on any of these EcoTeach itineraries. This remarkable piece of property is a Costa Rican success story. Once a heart of palm field, it has been transformed into a sustainable business, with a butterfly farm and animal rehabilitation facility. Costa Rica has around 1,250 species of butterflies – a tenth of the world’s total. However, as with so many other types of species, these beautiful insects are suffering as a result of habitat destruction and overexploitation. This facility offers a special chance to see a remarkable assortment of butterflies, frogs, caterpillars and also a thriving animal rehabilitation facility. Also on site are several enclosures where the staff care for injured and abandoned animals. Since its beginning in 1993, hundreds of birds, mammals and reptiles have stayed here; many have been re-released into the wild. The goal of Jardin Piarella is to educate visitors about natural biology and conservation. The small farming town of Providencia is located near Cerro de la Muerte and is surrounded by lush cloud forest. Here, community members are committed to sustainable farming practices and developing micro-enterprises to support economic vitality. Local entrepreneurs hope to create opportunities for Providencia's youth and enourage them to stay in the local community. 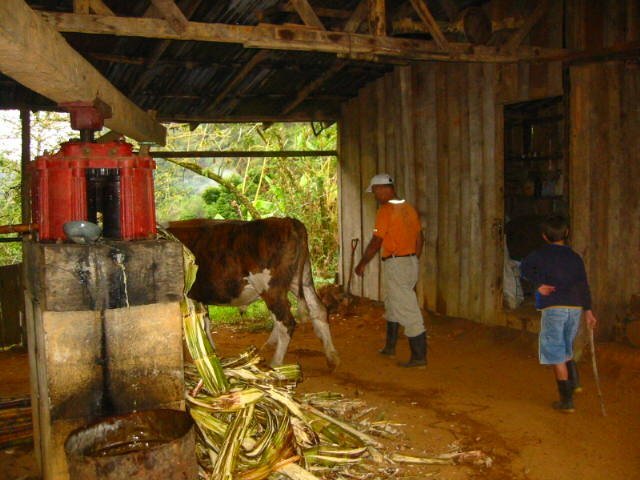 Visitors to Providencia have the chance to work on their 100% sustainable farm, learn about the fruit pulping process, participate in the entire milk process from milking cows to making cheese, find out how sugar cane is processed and work with local artisans. Located in the small town of Javillos in Costa Rica, Instituto Asis is dedicated to wild animal rehabilitation and public education. Due to human development, destruction of natural habitat and illegal hunting, there has been a steep decline in wildlife populations, causing many species to be in danger of extinction. Volunteers have the opportunity to work with injured wild animals such as monkeys, peccarys, kinkajous and macaws. Instituto Asis believes that by educating the public, they will help restore the balance between man and nature. Instituto Asis is officially recognized by the Ministry of the Environment and Energy and the Monteverde Conservation League. Watch a video of volunteers at work at Asis! Located in the central volcanic range of Costa Rica, Posada Montserrat is surrounded by lush cloud forests teeming with biodiversity. This small community has limited infrastructure and is populated by only 12 families – all sharing a strong commitment to sustainable living. Local community members practice sustainable agriculture, organic farming and are working to protect and conserve the forest and its natural resources. The community is also focused on micro-enterprises that improve the local economy. Check out our 7-day Costa Rica Service Work Trips! Located in the Talamanca Mountains in southern Costa Rica, the Boruca are known for their vibrant, intricately carved and painted masks, weaving and other hand-made objects. The Boruca is a sustainable farming community, however, the majority of its economy is supported by artisan crafts and ecotourism. Families grow rice, beans, coffee, cacao, fruits, corn and tomatoes. They also raise beef, chicken and pork but most only grow enough food to feed their families. While preserving their cultural, heritage and lifestyle, the Boruca have welcomed the outside world. Visitors to the Boruca Indigenous Reserve are invited to observe the group's cultural traditions, visit native homes and participate in mask making workshops. Participants of our Amazon Rainforest Workshops trips have a chance to participate in community service projects in villages located along the Amazon and Napo Rivers. Almost all children in the villages along these rivers consume water directly from rivers, streams and ponds. This water contains many parasites that cause them to be become ill and malnourished. Amazon Rainforest Workshops supports CONAPAC, the Civil Association for Conservation of the Peruvian Amazon Environment, to help provide clean water to families living in these remote villages. Amazon Rainforest Workshop participants support CONAPAC by bringing down supplies for CONAPAC’s household water treatment plants. CONAPAC is an NGO formed in 1990 in Iquitos, Peru, by a group of teachers, forestry engineers, and employees of the travel operator Exploraciones Amazonicas S.A.-- Explorama Lodges. Help support CONAPAC on these trips to Peru. Through our partner, Amazon Rainforest Workshops , travelers have the opportunity to participate in CONAPAC's Adopt-a-School program to support schoolchildren residing in rural areas of Peru. The program supports a variety of local schools by providing textbooks, reading materials, maps, charts and reference materials for teachers and students. Although education is important in Peru, the government is unable to supply the rural schools with these educational materials. Many of our travelers participate in community service work at the schools during their visit to the Amazon. After returning home, school groups and individual travelers often join CONAPAC’s Adopt-A-School program and raise funds to support the distribution of supplies for every child in the CONAPAC village network. Have a chance to visit a school in Peru on these trips. A.M.A.N., Asociacion de minusvalidos Artesanos de Nicaragua, provides students with disabilities a place to learn the basics of reading, writing and math. The school teaches life and social skills and provides a variety of artisan workshops. Students gain self esteem by learning to make pinatas, jewelry, dolls and other products that are sold to support the school. Volunteers have the chance to work side by side with the students on their various projects providing assistance and support. Visit A.M.A.N on the Costa Rica & Nicaragua Cultural Exploration trip. It is easy. Choose a trip.